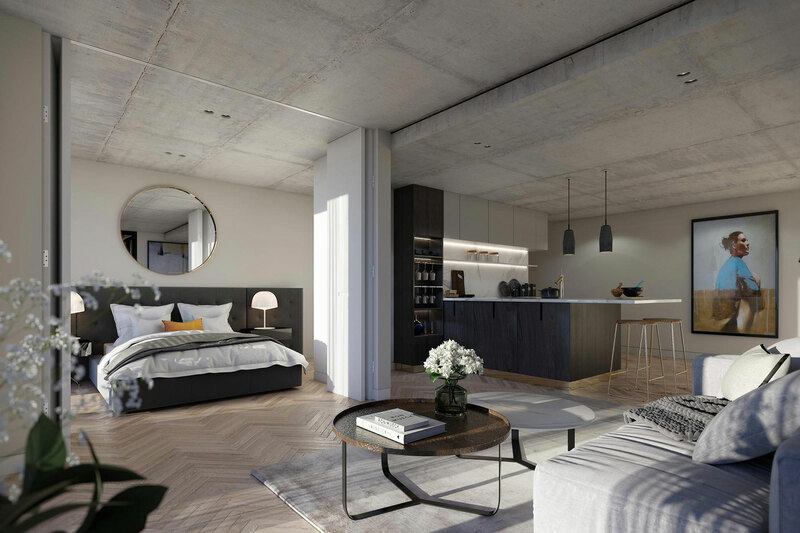 No.1 Castlefield is a residential led mixed-use development in Central Manchester comprising 419 apartments, duplexes and penthouses across five new buildings along with associated car parking. 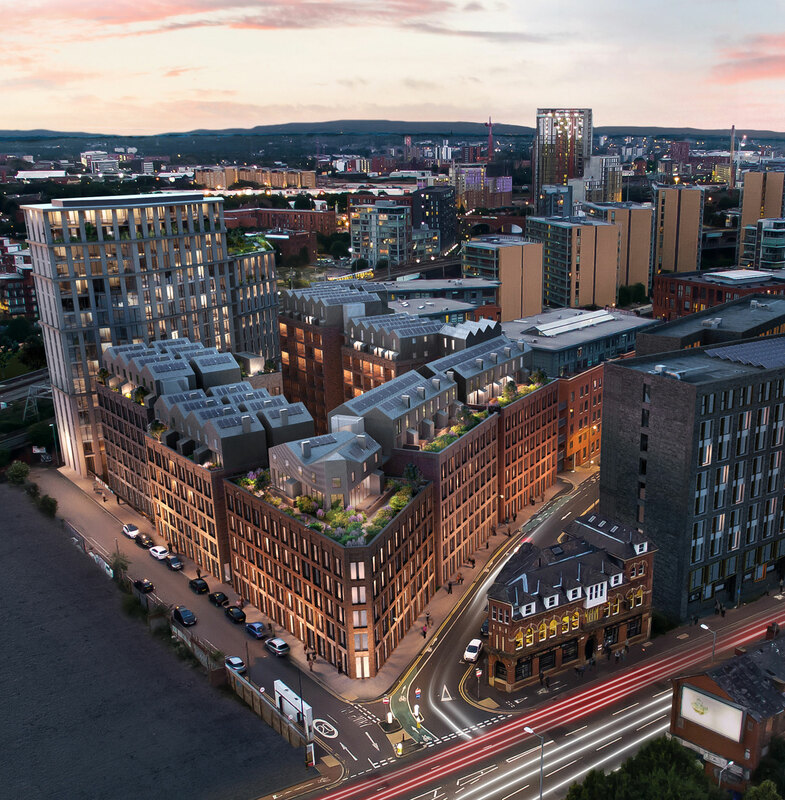 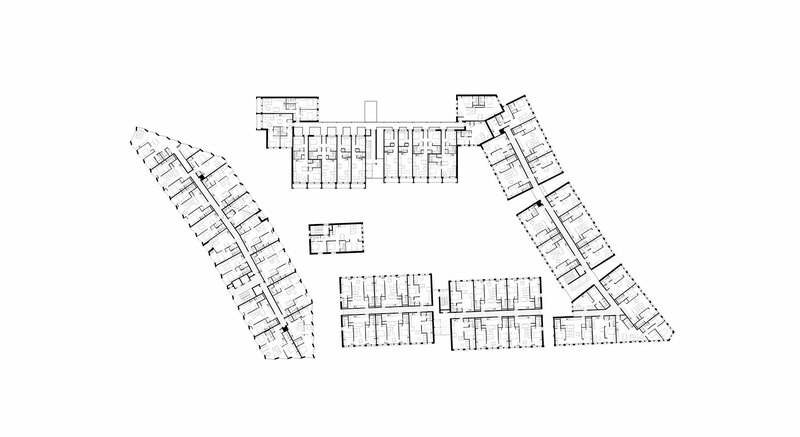 This is combined with a range of commercial, leisure and amenity spaces for residents and the wider community, including a courtyard pavilion and a 12th floor ‘Sky Lounge’ providing expansive views across the city. 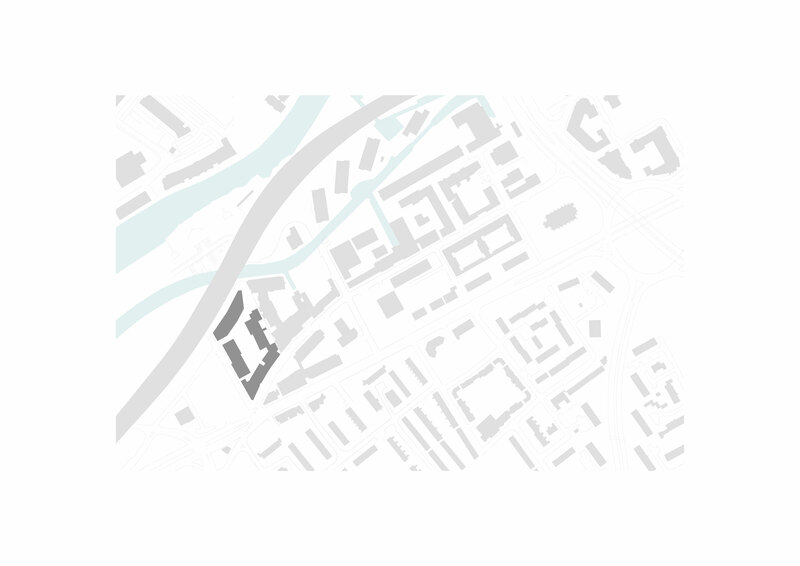 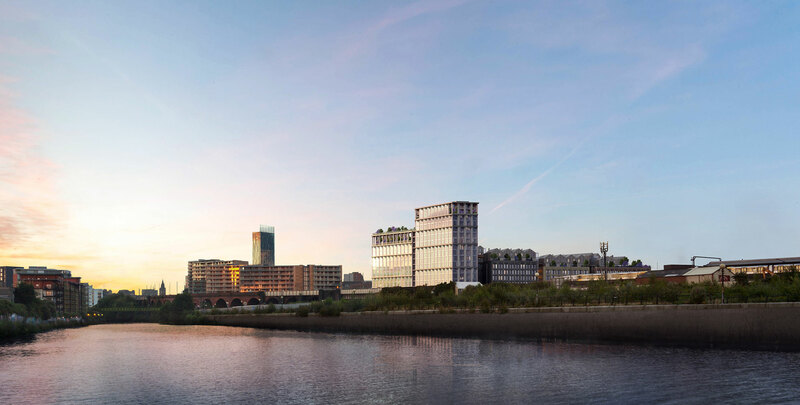 Architecturally, the design follows a contextually sensitive approach sympathetic to the nearby Castlefield Conservation Area, drawing on historic patterns of development whilst adding to the ongoing narrative of the site. 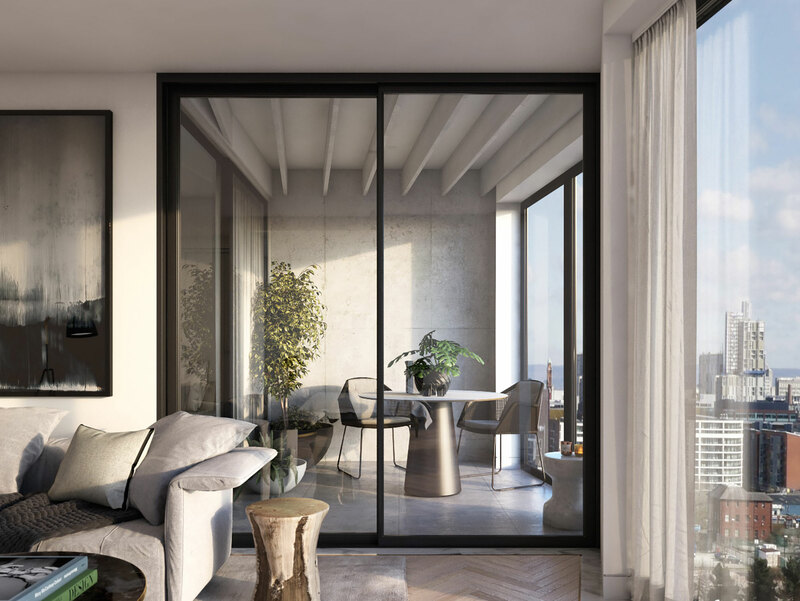 Brick facades onto Ellesmere Street and Trentham Street have a robust aesthetic with deep door and window reveals to complement the scale and appearance of the neighbouring historic buildings and acknowledge the heritage of the nearby Conservation Area. 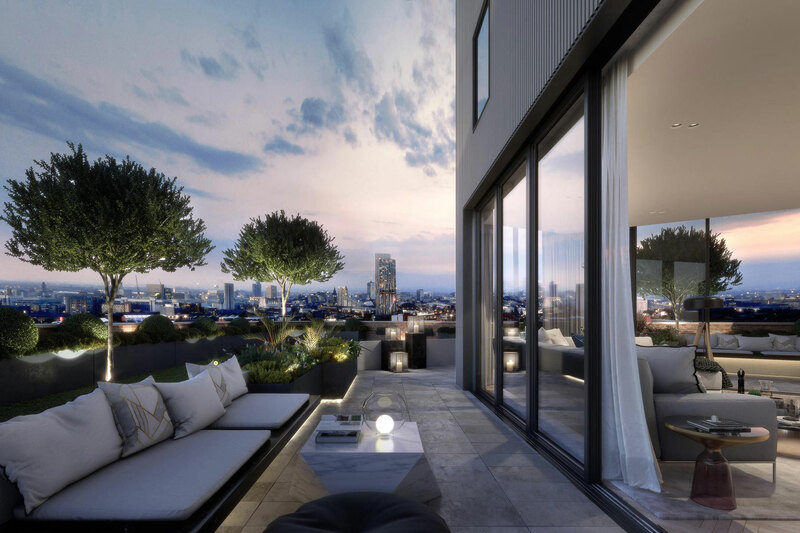 Rooftop houses with private outdoor terraces and access to landscaped communal gardens, provide loft type living and generous internal spaces. 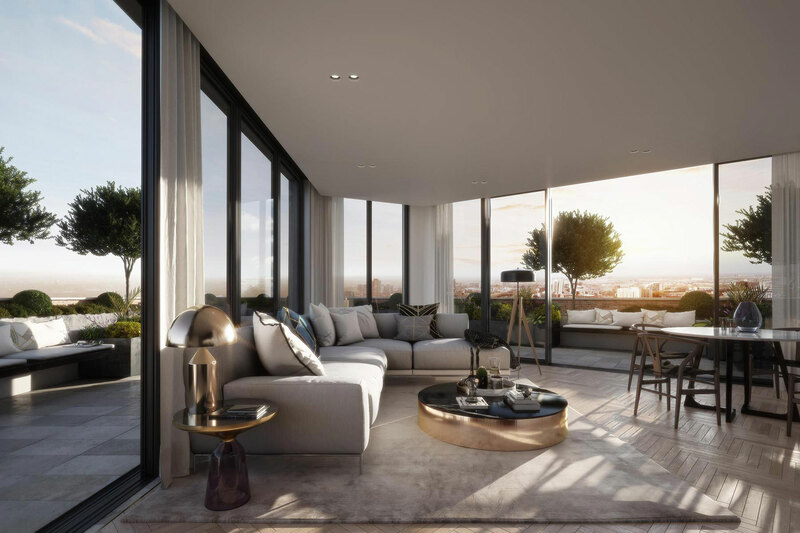 Additionally, a 16 storey tower at the north of the site features south facing internal winter gardens providing covered amenity all year round and a large communal roof terrace.